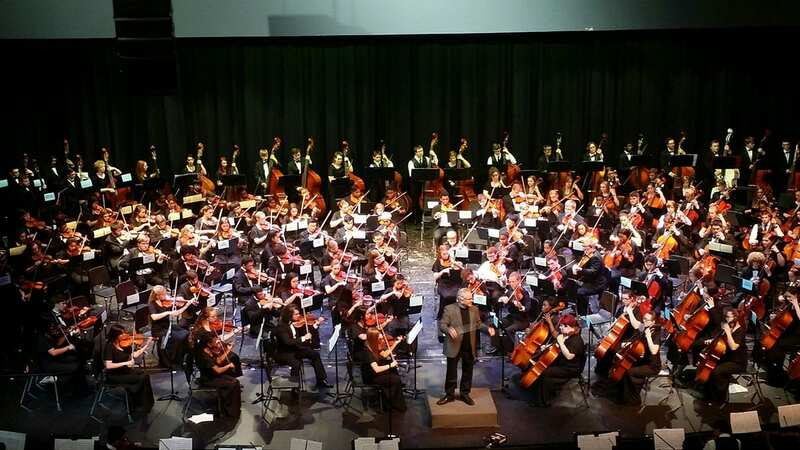 “Evening of Strings” is an concert held every fall that brings together Miami Valley (Ohio) orchestra programs. 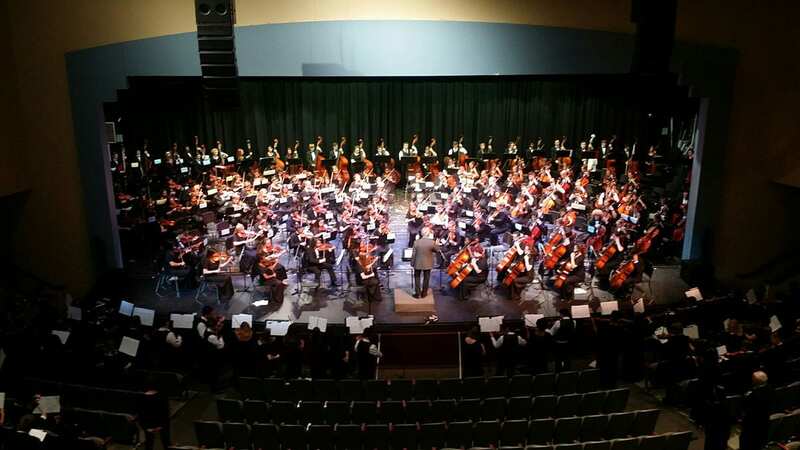 This year is the 50th Anniversary of the event and will feature 9 high school orchestra programs within the 60 square miles surrounding downtown Dayton, Ohio. The schools participating come from all settings: rural, suburban, and urban with diverse socio-economic and cultural backgrounds. 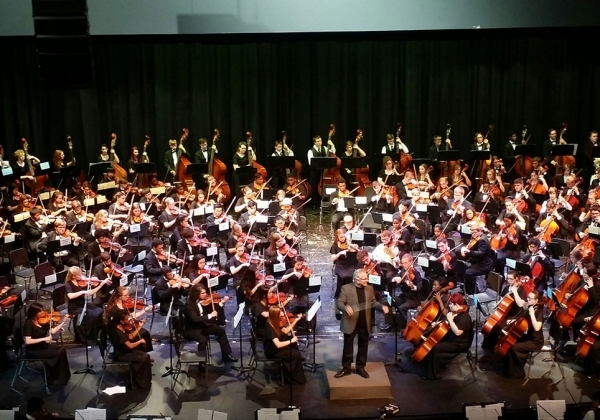 Over 400 high school orchestra students will come together to present a concert. The brainchild of Lawrence Frazier, William Scutt and John Wildman, Evening of Strings promotes fellowship through musicianship. The was initially started to provide a showcase for orchestra programs at the time of year that is dominated by marching band. Over 50 years it has grown into so much more for the participating musicians, directors, and communities that are touched by the project. The project provides an opportunity for schools of different backgrounds to partner their orchestra programs and prepare a concert program. The participating ensembles are paired-up into 3-4 larger orchestras. At the end of the performance all schools perform a grand finale as one gigantic orchestra with a notable guest conductor. The guest conductor gives the students a clinic. The students are engaged musically, socially, and academically. The project brings together the families and friends of NINE communities to enjoy a wonderful concert in a non-competitive environment. It instills pride in the individual communities these schools represent. It provides an unique concert experience for the audience. The project is run by a committee of participating directors. Spring 2018-Directors met to set a date and location for the event. At this time ideas for a special commission work were brought forwards. The event has been hosted at Centerville High School for many years. However, for the 50th Anniversary grants were obtained for a special performance venue, The Dayton Masonic Center. The venue is historical and beautiful. Truly a once in a lifetime experience for some of our students. Summer 2018- A composer for the commission was secured, Brian Balmages. The venue was locked-in for the October 29 concert date. Mid-August 2018- Directors met to select literature for the orchestra subsets. This year a commemorative t-shirt was designed which will be the uniform for the performance. Details for the clinic with Brian Balmages and the commissioned work “Eat My (Rosin) Dust” were solidified. August through October 2018. Individual schools work on selected literature during class time. The partnered ensembles meet two times to work on their portion of the concert as well as the grand finale music. Information for concert programs is collected and the programs are designed/printed. Stage directions are worked-out. Directors secure field trip permission, Emergency Medical Forms, and transportation for the combined rehearsals as well as the performance. October 29, 2018. Volunteers help set the stage for the performance. Each school arrives at the prescribed time and goes directly to a clinic with the guest conductor on the Grand Finale music. After dress rehearsal students in Orchestra II, III, & IV are seated in the audience, and Orchestra I takes the stage. Directors facilitate the stage rotation and getting students in place for the finale. November 2018. Wrap-up meeting will be held and planning for next year will begin. A donor wishing to remain anonymous paid for the commissioned work. By receiving financial support, there is typically no cost to the students to participate and only a minimal cost per school. Additionally this allows us to present the concert free of charge. For this year only there will be a minimal fee per student for t-shirts and dinner while onsite. Any student unable to pay will have their cost absorbed at the individual school level. Of course the biggest impact is on the students participating. Many consider this event the highlight of their year. The ability to work with a renown conductor and educator is impactful on their development as a musician. Some of the school programs are small so this event provides an opportunity to perform with an orchestra with full instrumentation. Coming together in a non-competitive environment inspires the students to learn from each other and promotes fellowship. And of course, bringing this many students together to create music is truly magical. Typically there is minimal cost for this event. However as this is the 50th Annual, we have planned some special components which has raised the cost. $5000 for a commissioned piece. As this is the 50th Annual Evening of Stings event, we commissioned a piece and rented a special location as well as designed a commemorative t-shirt to serve as our uniform for the concert. Certainly there is growth in the musicians between sight reading the music and staging the performance. Additionally the event is well attended each year. Students report it is a highlight of their year. 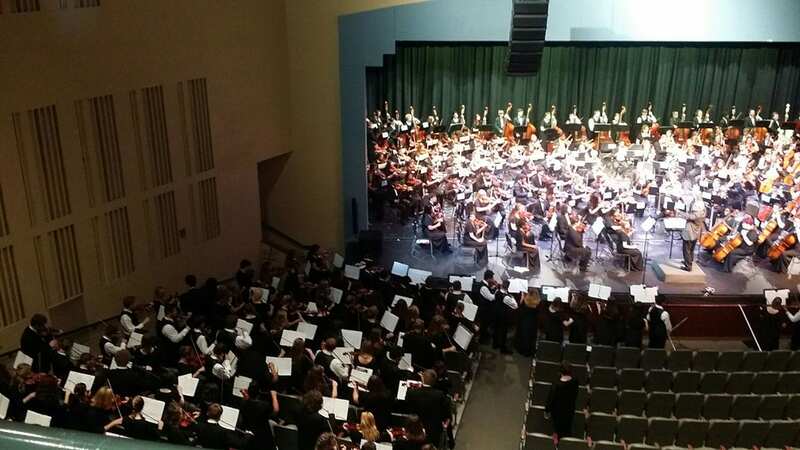 That we receive monetary support from OMEA as well as area businesses indicates that this is a worthy and import experience for the musicians and communities. Start planning at least a year in advance. Make sure to communicate to all directors often. Secure the guest conductor early and through written contract. Succinct stage directions and plans are imperative in keeping the performance moving and all involved safe.